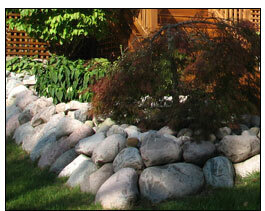 C & G 4 Season Maintenance, Inc. is a Michigan owned and operated company based in Farmington Hills. Our client base includes over 350 customers, some of whom have been with us for over twenty years. Our commercial customers have included well-known companies such as Commercial Bank branches, Wendy's Restaurants, Beaumont, U of M outpatient medical buildings, C.V.S and Rite Aid locations. 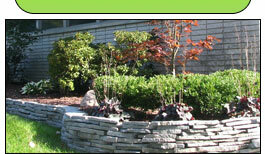 We are a full-service lawn maintenance and landscape company. With over thirty years in business, C & G 4 Season Maintenance has established long term relationships with local suppliers to provide you with the highest quality materials at fair prices. We are involved in all types of landscape projects including landscape design, construction and improvements, seasonal flower planting, shrub and tree shaping and pruning, mulch installation and much more. Our crews are experienced and all our equipment is professionally maintained. Our ground maintenance service includes lawn mowing and edging, weeding of beds, yard cleanups and professional lawn fertilization for which we are certified and licensed by the State of Michigan. During the winter, we provide commercial customers with snow-plowing and salting. With our fleet of plow tucks and salters, we have provided our customers with reliable and timely snow removal services season after season.